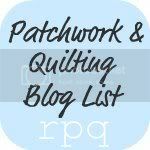 Cheryl over at Naptime Quilter has another one of her great link-ups, this time about thread storage. 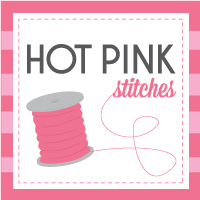 I'm all about the eye candy and making things pretty, but when it comes to my thread, I'd really much rather keep it dust free and readily available within reach. 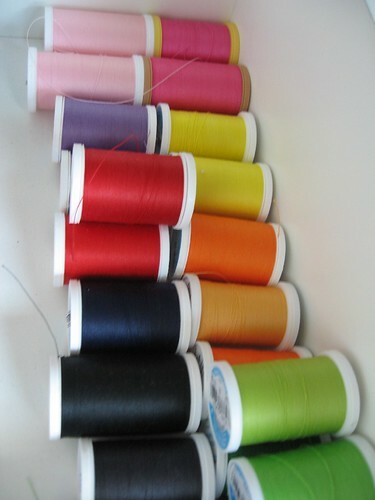 So all my thread is lined up by color in my desk drawer. It's literally less than an arm's length away from my chair when I'm sewing, so if I need to change colors or reach for a new bobbin, it's right there. 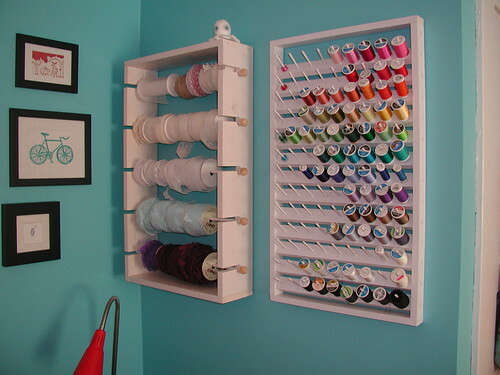 I've always admired those gorgeous spool racks and thread displays like the ones below, but I don't find them as practical. 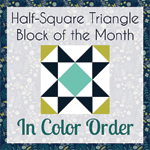 If I hung them on the wall, I'd have to get up from my chair and reach for them, plus they would take up precious wall space that could otherwise be used for a bulletin/planning board, inspiration gallery wall, or design wall. 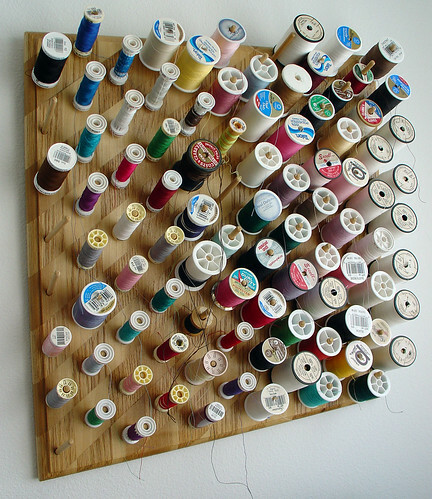 My thread drawer, all lined up. My bobbin box; lives in my thread drawer. This is a little plastic box with latching lid, available at any JoAnn's or Michael's. About $3. 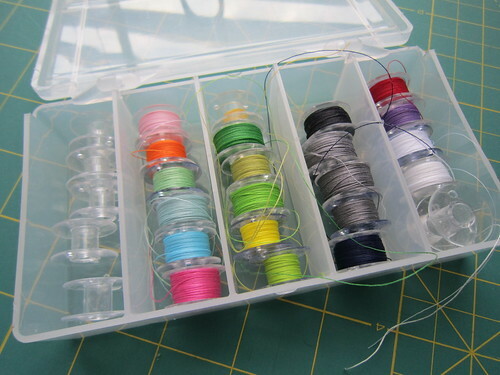 I found your post while searching for thread storage ideas :) You make some good points, and I think I'll end up using a compartment box & store them in a drawer. Although - those racks are so pretty!